Schoola rocks! After my first completely free order, I received two packages that I paid less than $3 total for. The rest was paid by referral credits that I earned. I earned these credits, to purchase clothing from the website, by sharing my referral link with friends + family through email, text and on my social media accounts. 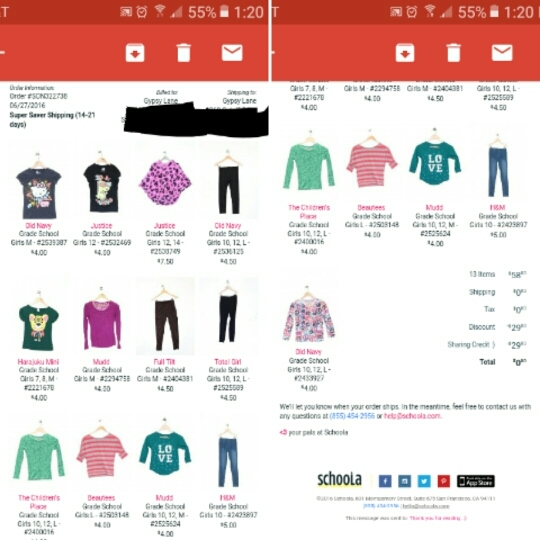 Back in June, I came across a website, called Schoola, when searching for ‘back-to-homeschool’ or Fall/Winter clothing for my children. 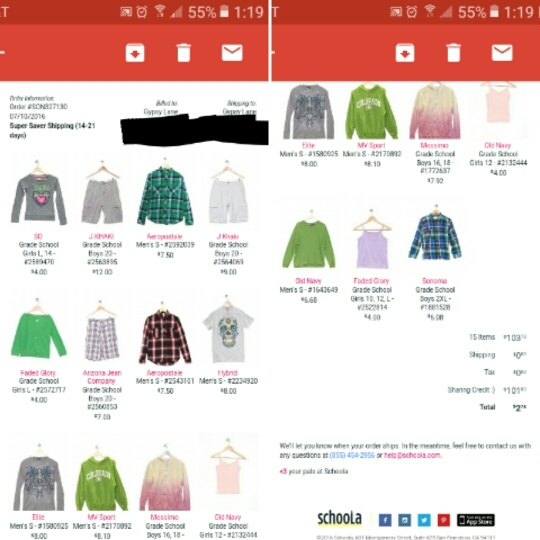 I was able to order 13 items for my daughter from them, free! It was a great start to getting everything that she needed. 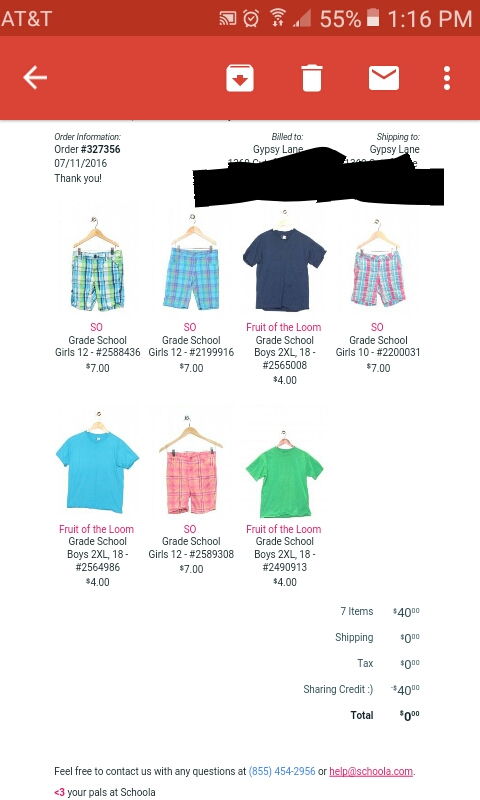 Screenshot of my first order through Schoola. Photos of items when received. 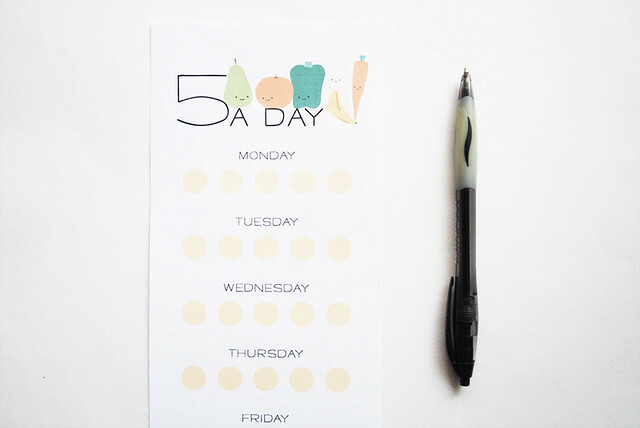 The Coupon Project has my favorite FREE printable shopping lists — one for Grocery Stores + one for Drug Stores! Each list includes product name, product price, store/manufacturers coupon, Qty, final price, rebates/RR/Up+, etc. Also has a space for notes, estimated trip cost and actual trip cost. Remember to print + if possible, make black & white copies to save on ink! Visit the Coupon Project to print your copy of the shopping list today! I have been a fan of Mollie J. from Wild Olive for quite some years now. 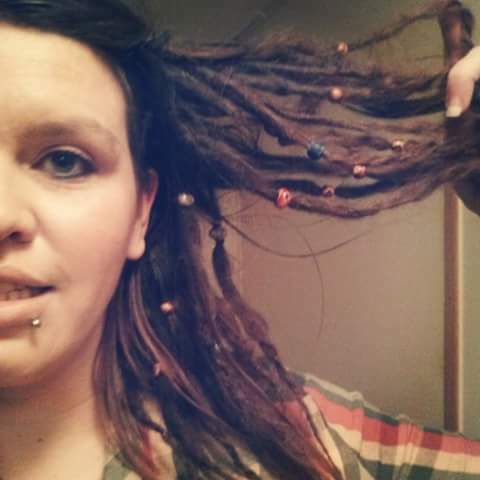 I have purchased a few of her printable planners from her etsy shop in the past. I also LOVE many of her printables available for download on her blog. Here are my top 5 favorite free printables from Wild Olive. Click the images to view the post in which you can download the goodies from. Want to keep up with the fruit + veggie intake you have on a daily basis? 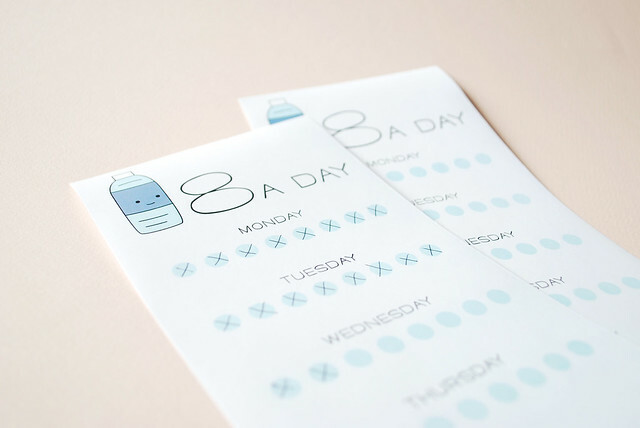 Print these cute babies out, laminate + check off daily. Wipe clean + repeat! Like the 5 a Day above, this is for your water intake. To save on printing, laminate, check off daily, wipe clean at the end of the day + start all over! This is a lovely idea for a children’s room, play room or maybe even a school room for those that are homeschooling. 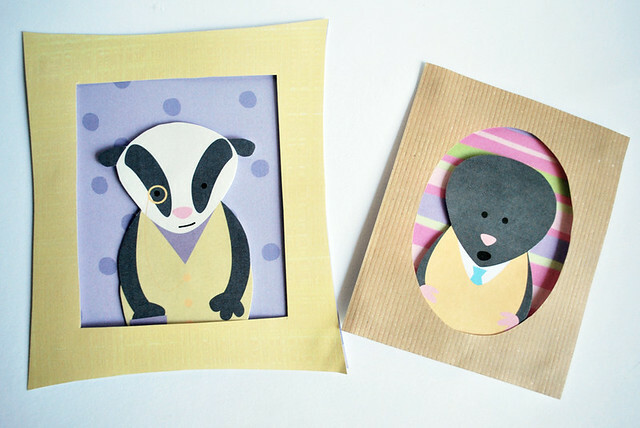 Print these critters out, use scrapbook paper for the background & frame. Have the kidlets help create these for their own rooms! 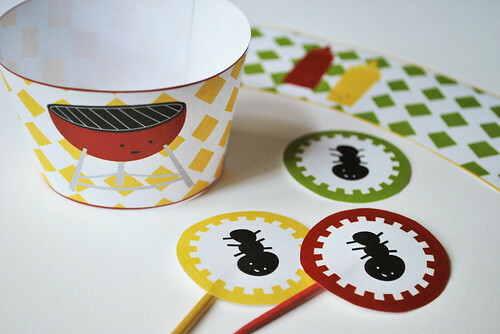 Since it’s been heating up outdoors, many are probably grilling out more often. These are a great way to decorate those cupcakes and other treats for the occasion. 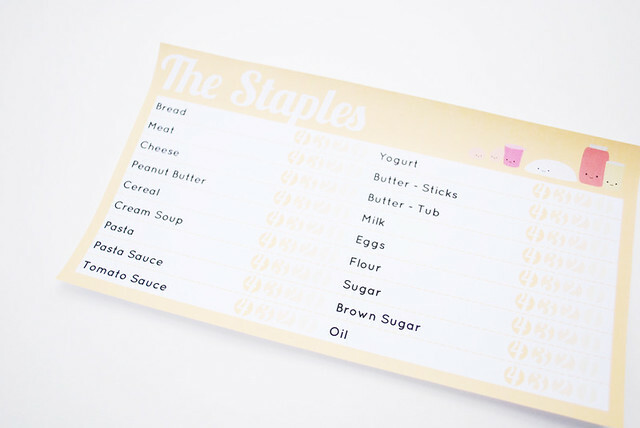 Create a grocery staples checklist to print out + keep inventory on what you have stocked up (or what you need to pick up on your next trip out)!